The author has strong views about the importance of inflation protection. Recently, I’ve had a few conversations with agents about clients who have purchased the life/long-term care products. Long-term care insurance (LTCI) is a complicated product because many factors need to be taken into account when selecting the appropriate product for the client. The major questions include how much benefit is appropriate, for how long, the nature of the deductible — commonly called the elimination period — and inflation. When care is needed, the lifestyle changes that occur at the same time often mean that other areas of spending go down. For example, they may be able to sell a car that is no longer being driven, will probably travel less, go out for dinner less frequently, and generally be out and about less. Those dollars that were formerly used for these things can now be reallocated to paying part of the cost of care. The interest generated on a life savings can also help pay for care, even while preserving the principal. Selecting the proper product becomes essential in accomplishing what is intended here. If the combination of the clients’ income sources, along with the proposed LTC insurance benefit, is not enough to pay the monthly bills for care when that care is needed, the clients’ assets will be depleted. Eventually, the clients will become impoverished and need to turn to Medicaid. One of the most vital items that must be considered when selecting an appropriate LTCI product is the impact of inflation on the benefits, especially when the needed care might not start for 20, 30 or 40 years from the time of purchase. The costs of long-term care services (such as assisted living, nursing care, home care, and so on) have been increasing by an average of 5 percent to 6 percent per year for the past 20 years. Since about 2008, the impact of the recession has resulted in a slightly lower rate of inflation, but costs will likely accelerate in the future. The New York Times recently reported that “caregiving” will become the largest profession in the United States by 2020, overtaking retail. This is because of some basic demographic changes that are occurring. Elsewhere on the Web, I have discussed the impact of the aging of the baby boomer population on the demand for long-term care services. Suffice it to say that the unprecedented number of people on the cusp of turning 65 — or older — will have an impact on long-term care service needs, just as it has impacted every other institution over the past 60 years. Especially significant is the fact that the U.S. Department of Health and Human Services says that at some point, 70 percent of Americans will need some long-term care services. There are fewer working-age caregivers, compared to the growing number of seniors who will need care. The market always responds to an imbalance of demand and supply — wages will rise to attract more workers to meet the need. All this is a recipe for rapidly increasing costs of long-term care services. A benefit that will pay for long-term care today will be as useless as having $1 to buy a gallon of gasoline 20, 30, or 40 years from now. Thus, purchasing long-term care insurance without an automatic 5 percent inflation factor benefit increase is not in the consumer’s best interest. So, is something better than nothing? 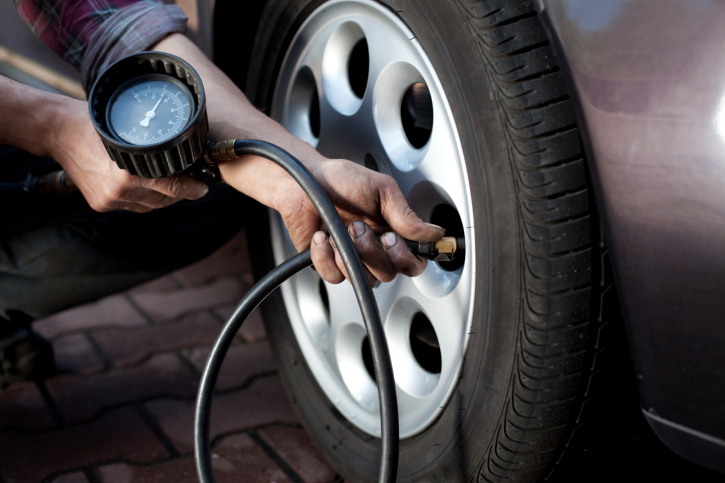 Is a flat spare tire better than nothing? You think you are covered in the event of a flat tire, but you have actually lost fuel mileage hauling around that empty flat spare while thinking you had “insurance” against a flat. Similarly, if you paid LTCI premiums for many years, and then find that the cash flow it provides, along with your other available income sources, is not enough to pay for care, you have no choice but to spend assets down to impoverishment and end up on Medicaid. What good did that policy and all those years of premiums do for you? They helped you go broke faster, and you still end up on the welfare program called Medicaid. Long-term care insurance is a complicated product. Decisions made when purchasing it today will affect you many years down the road. If it does not do what it was expected to do, it was a waste of time and money for clients and provides them a false sense of security. My aforementioned skepticism about the life/long-term care products is that when they were introduced, they didn’t include the inflation feature… and you can see that I think this is essential to protect clients. The good news is that many products have now begun to include this. Agents who have clients who can benefit from a life/long-term care product have an obligation to seek out the ones that include inflation protection, for the protection of their client. From time to time, I have even heard some agents say that clients won’t buy the life/long-term care policy with inflation because it’s too expensive, so that’s why they sell the ones without inflation. That makes me wonder — is this about making a sale or doing what’s best for clients? Is something better than nothing? I think that when it comes to long-term care insurance, in some cases, nothing is, in fact, better.